Leeward Solutions is prepared to help you plan and plant a native garden, using native seed from your region. An initial meeting covers your goals, and it includes a quick evaluation of soils, soil moisture, and types of plants for the locations in your garden project. Based on this, a proposal outlines in more detail the options you have and a budget. Why Use Native Plants for Gardening & Landscaping? There are several excellent reasons to substitute the native plant species of your area for the usually nonnative flowering plants and bushes we are accustomed to. First, in general, native plants tend to have deeper root systems and, because of this, they contribute to soil building. In the diminished soils of many residential areas, this is a big plus. 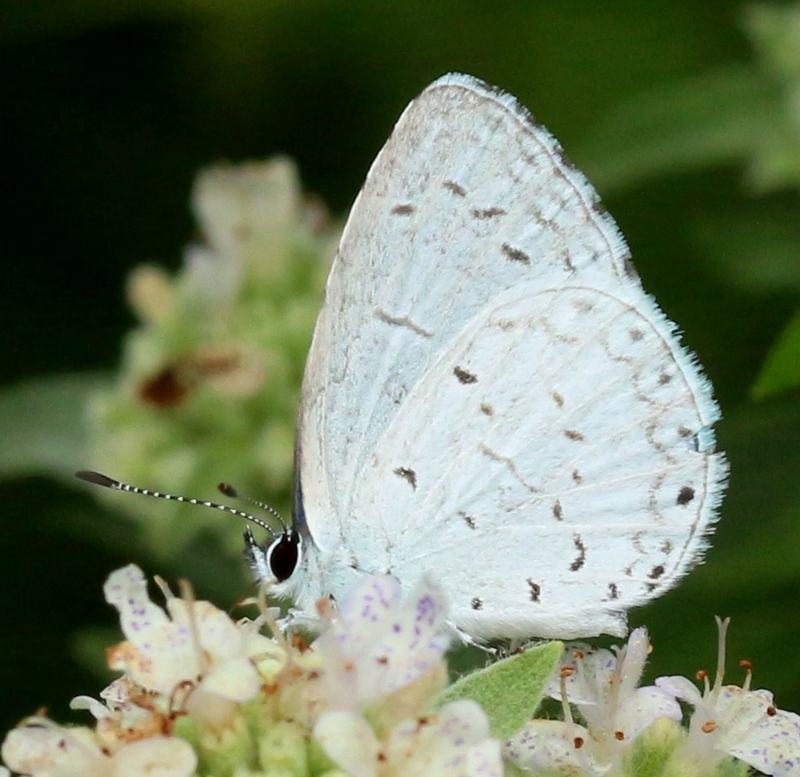 Second, native plants host native insects that have limited opportunities to find hosts for their eggs & larvae, and some pollinating insects tend prefer native flowers over introduced ones. With declines in the numbers of pollinating bees, butterflies, and flies, a native flower garden is very beneficial. The best example probably is the sharp drop in Monarch butterflies, due in part to the disappearance of milkweeds from agricultural lands. Monarch females lay their eggs exclusively on milkweeds, and the caterpillars feed only on those plants. Scroll down for more information on gardening for Monarchs and other butterflies. Third, a well-planned landscape with the prairie, wetland, and woodland flowers of your region is every bit as attractive as one with daffodils, forsythia, hosta, peonies, and other flowering shrubs and plants. Another thought is the concern that many of our native plant and shrub species are scarce, and they grow in isolated places that prevent natural cross-pollination and genetic diversity. Native garden is one means to try to overcome those problems. Other reasons justify the use of natives, too, such as adaptation to the soils, diseases, and plant-eating creatures of your area. Of course, nonnative plants are subject to diseases, climate, and other variables, including the variables of an unnatural ecology for them. Similarly, imported diseases affect native plants, but in some cases hardier cultivars exist. This only scratches the surface of the possibilities. How might you plan for an entire growing season of flowers in one bed? The answer to this probably requires the most forethought. You'll want to consider early-season blossoms along with mid- and late-season flowers, along with different heights. Taller species should be behind shorter ones for the best appearance. You'll want to have shorter species with different bloom periods, as well as mid-height and tall plants. What color ranges are available among the indigenous plant species? For any flower bed, from shady to partial sun to full sun, or from dry to moist to wet (such as a raingarden), a full range of colors is available. RESOURCE LINK: Click on Gardening with Native Plants for a PDF file (free Adobe Acrobat Reader required) from a presentation given by Leland Searles on this topic. Butterflies are, in general, attractive insects that readily visit flowers for sips of nectar, to seek mates, and to lay eggs. The Monarch is probably the most familiar, with its black, orange, and white and colors, and you may know that it migrates, rather than relying on over-wintering eggs. Others are the Black and Tiger Swallowtails, Spring Azure, Great Spangled Fritillary, the Sulphurs, Red Admiral, and many more. 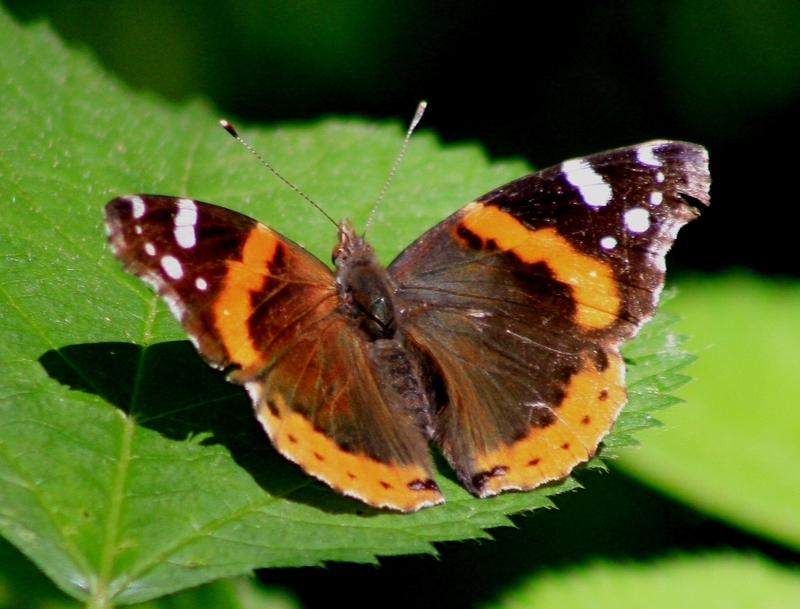 Scroll down to see a photo gallery of Iowa butterflies. 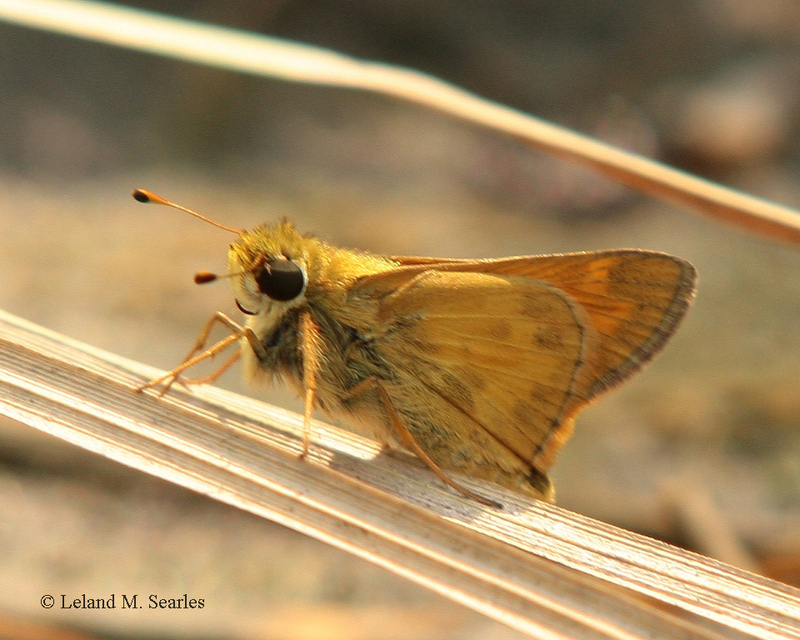 There is another group that is not quite butterfly and not quite moth, the skippers. 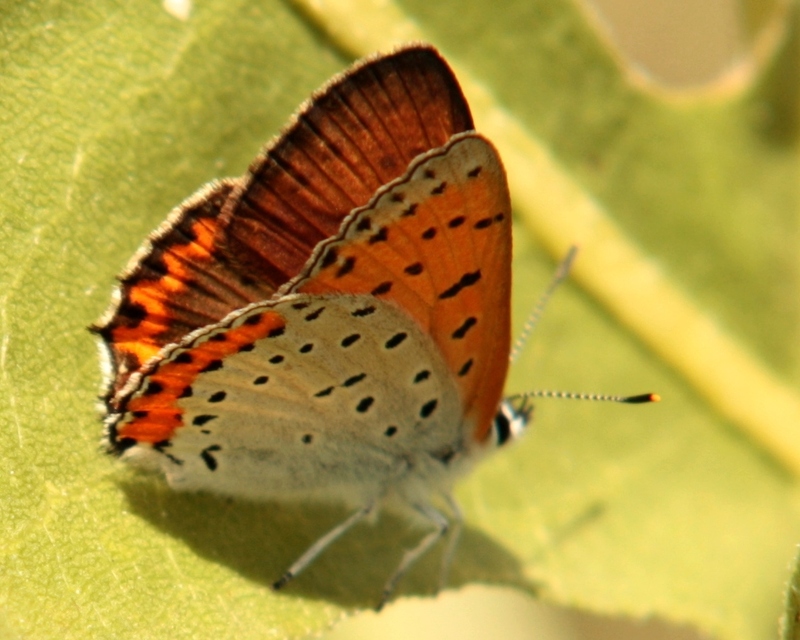 They usually are small in size, and they visit flowers or rest on foliage. Their flight is rapid and jerky, making them hard to identify. But quite a few are common, beginning by mid-summer, on mostly native plants. 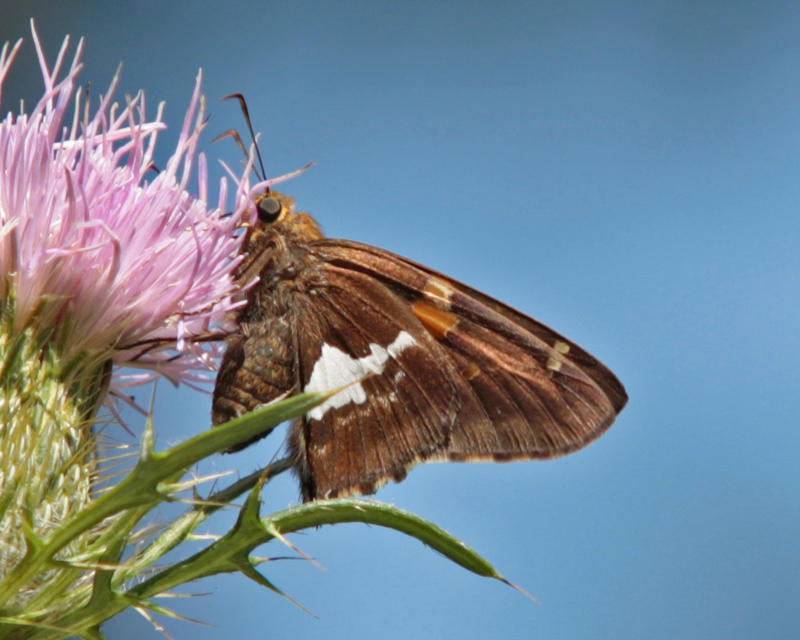 One of the more easily identified is the Silver-Spotted Skipper, with blackish wings and silvery white and yellow spots. It is about the size of a Sulphur. 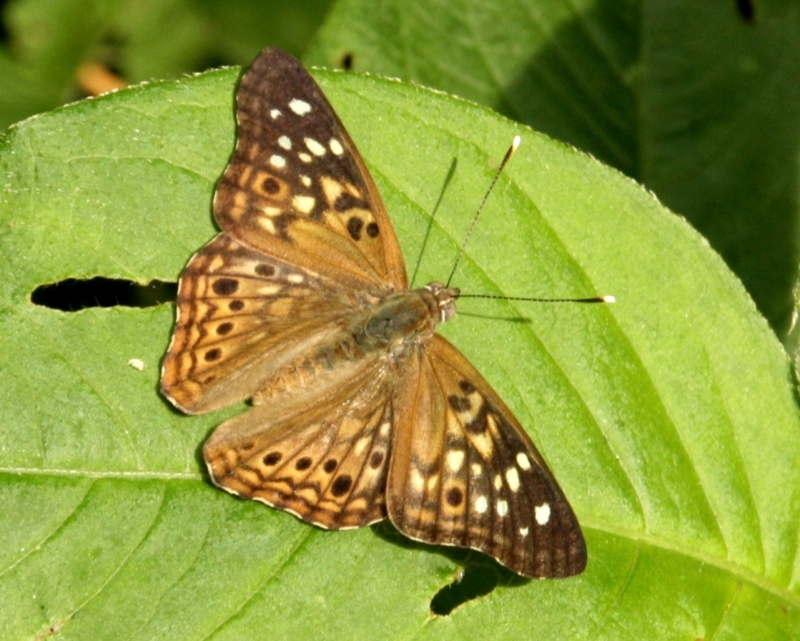 Most skippers, such as the Dun, Least, and Tawny Skippers, and the oddly named Sachem, are smaller, in the size range of Azures and Eastern Tailed Blues. Several of these appear in the photo gallery below. 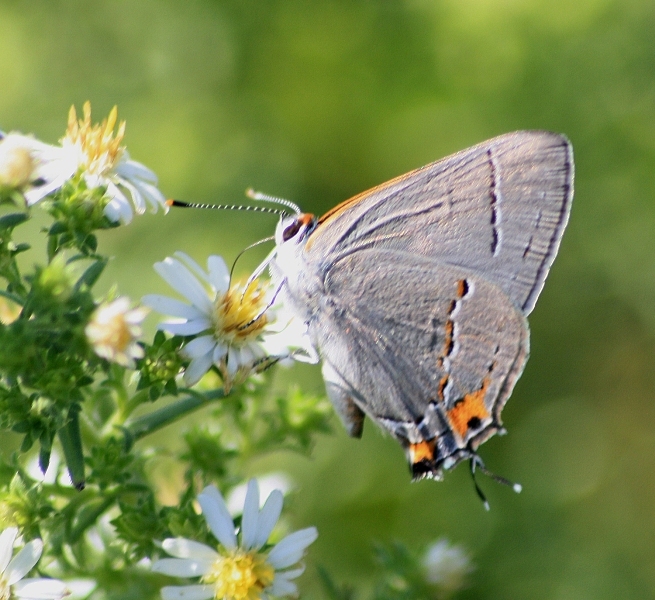 Our Midwestern butterflies also help plants by moving pollen from one blossom to another, aiding the reproduction of those plants. 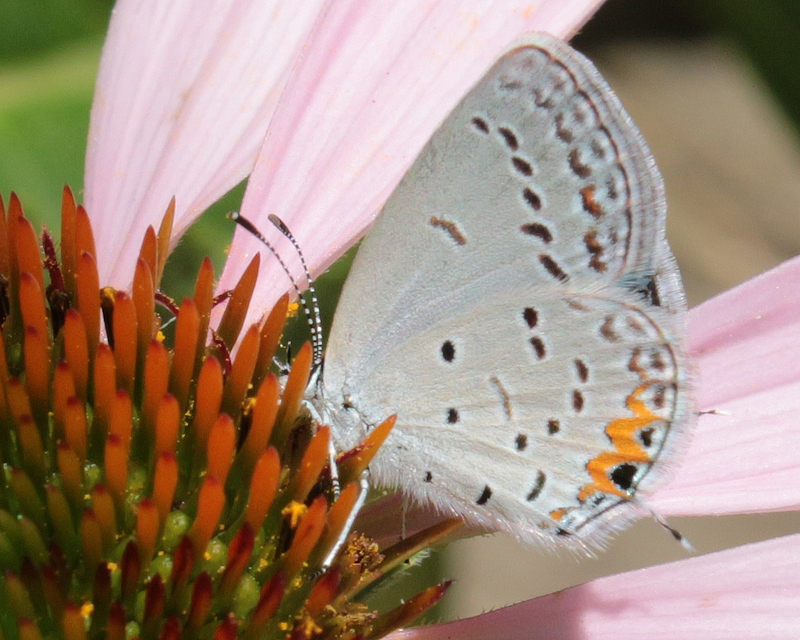 Our native Iowa plants often are favored by butterflies over introduced species. 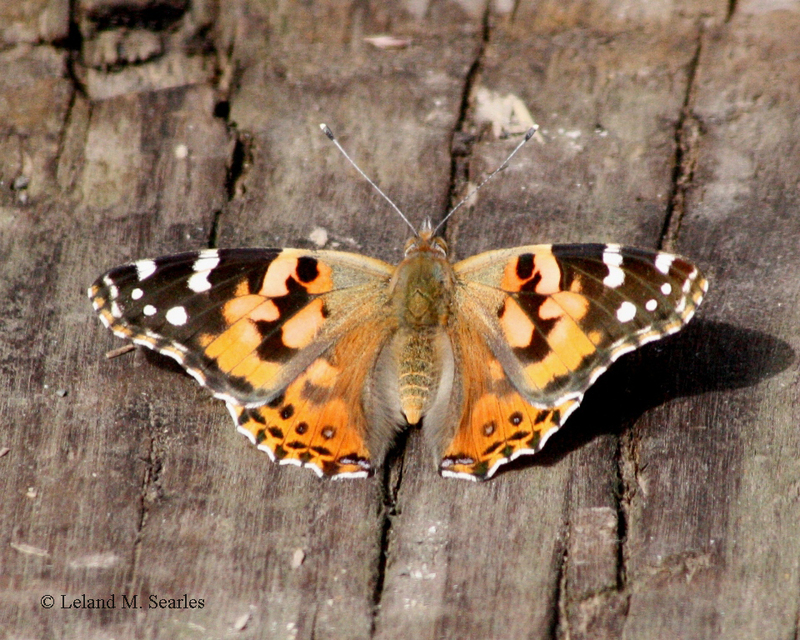 Butterflies join bees of many kinds, some wasps, certain flies, and a few other insects as pollinators. The Midwest also is a highly productive agricultural region, and farming practices limit the extent of native habitats, like prairies. 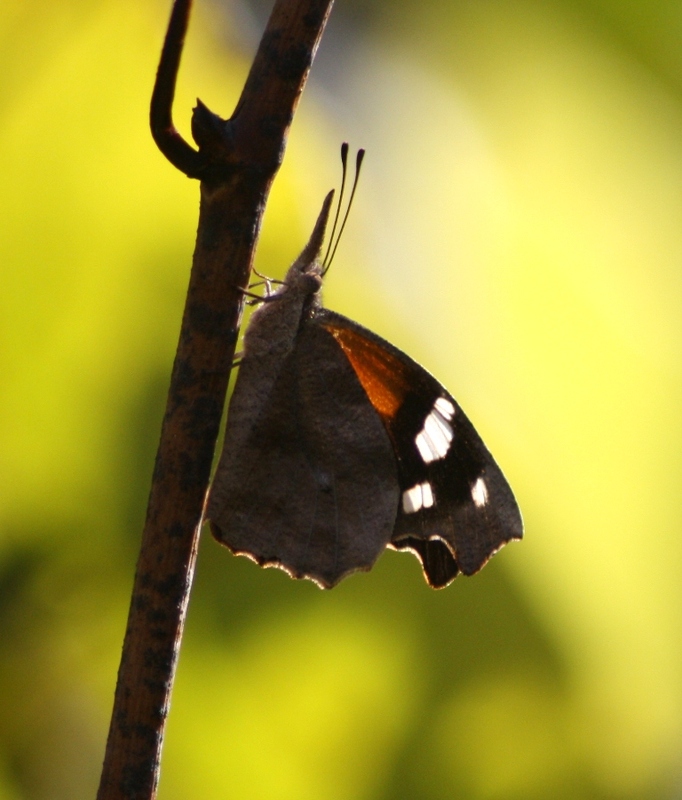 Agricultural pesticides may affect butterflies at all stages of growth, and herbicides assure that host plants for the larvae, or caterpillars, and food plants for the adults tend not to grow near crop land. 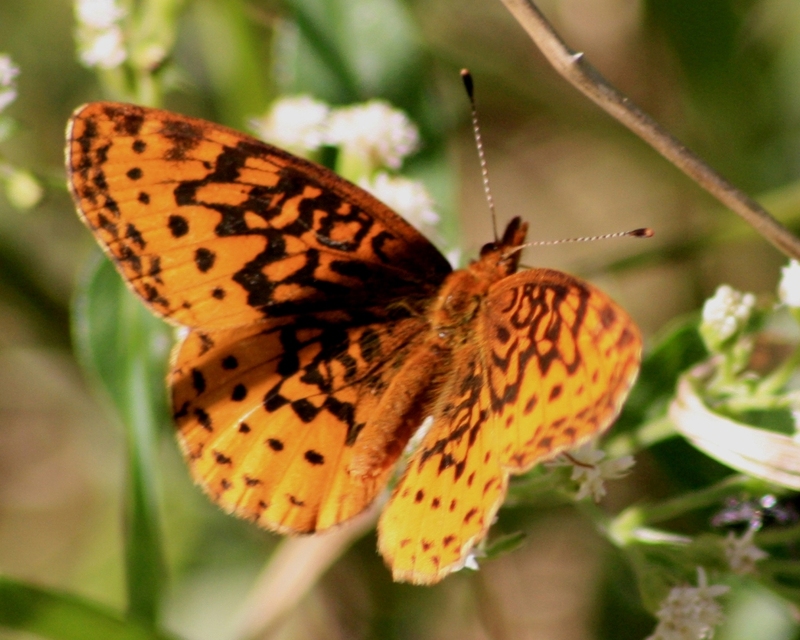 It is entirely possible for modern crop farming to exist side by side with good populations of butterflies, as long as we enhance and preserve butterfly habitats. 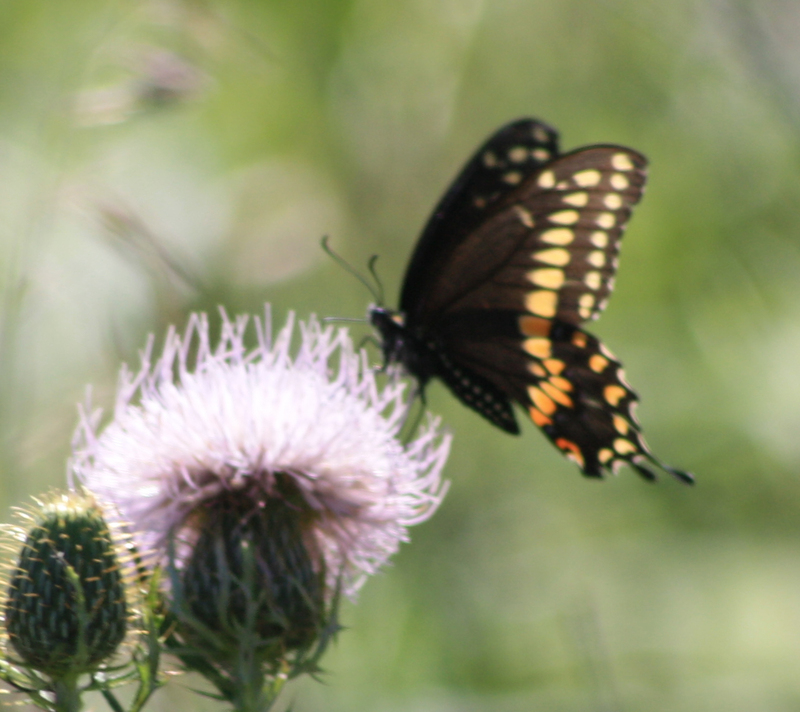 For this reason, Leeward Solutions offers services in planning, implementing, and maintaining butterfly-friendly native plantings. This is especially important for the Monarch, which has experienced a population crash over the last two decades. Three major causes for the Monarch's decline exist: loss of wintering habitat in central Mexico, loss of habitat along the migration routes, and habitat loss and toxicity in the summer areas. 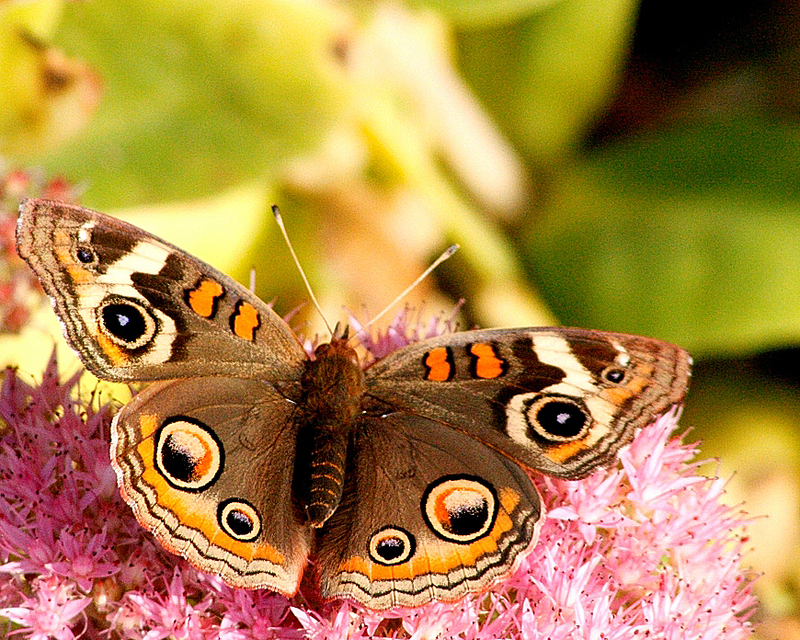 You can take an active role in the last, by creating and enhancing new butterfly gardens and larger habitats on your property. 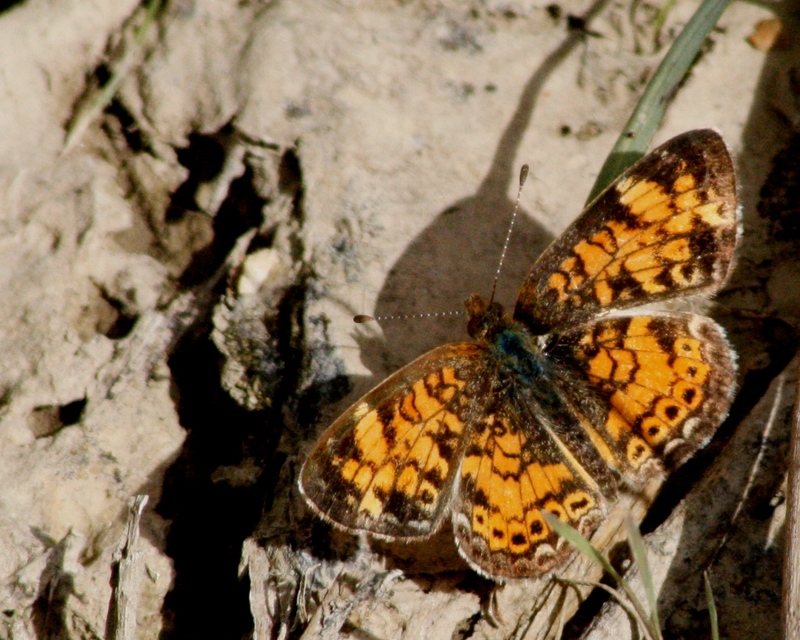 The goal is to identify a location that has good soil and soil moisture for butterfly-attracting plants. 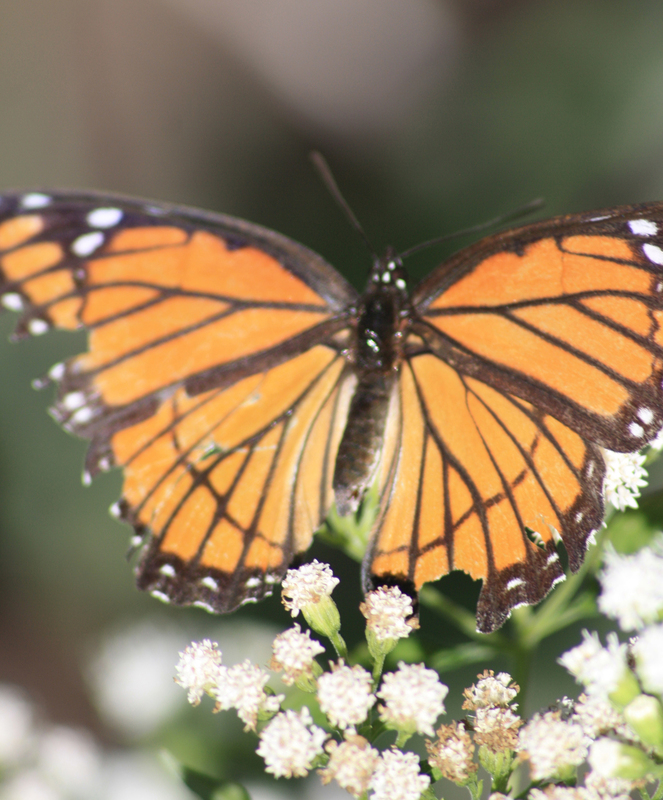 For Monarchs, this means one or another species of milkweed. The type of milkweed depends on the overall type of habitat you want: dry or wet, sunny or shaded. In planning and executing a restoration or enhancement area, these and other factors come into play. In addition, it's best to make your butterfly area fairly diverse, so that it provides not only milkweeds, but also food plants for the adults, and host and food plants for other kinds of butterflies. Leeward can help you plan all this and put the plan into action, from determining if the soil needs amendments to monitoring your site for success. For more information on butterflies, seeHarlan Ratcliff's Iowa butterfly forecasts (warm months only) at The Poweshiek Skipper Project. 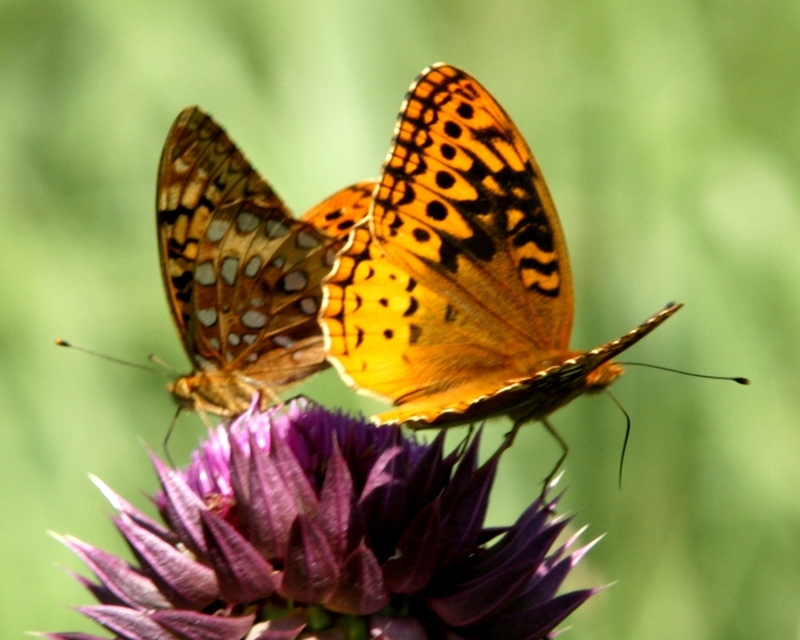 The Xerces Society has news and information about butterfly and invertebrate conservation.